Today, on what would have been Ian Fleming’s 106th birthday, Penguin Random House Children’s announced Shoot to Kill as the title of the new Young Bond novel by Steve Cole. 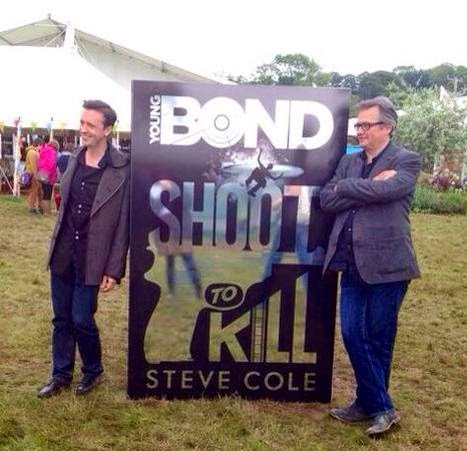 In front of a Hay Festival audience of Bond fans young and old, Steve Cole and the first Young Bond author Charlie Higson came together to mark the official handover of the authorship. 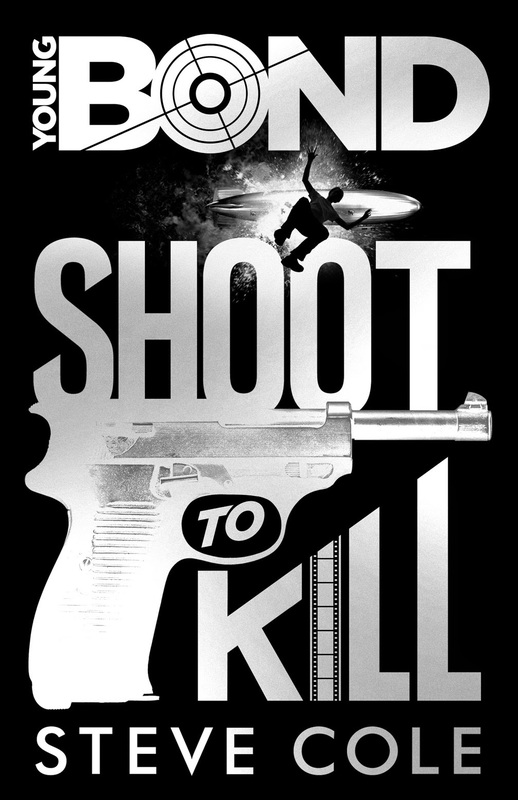 Together they unveiled a giant replica book revealing the cover of Shoot to Kill, a striking black and metallic design which gives a few hints as to what will unfold in Bond’s next adventure.